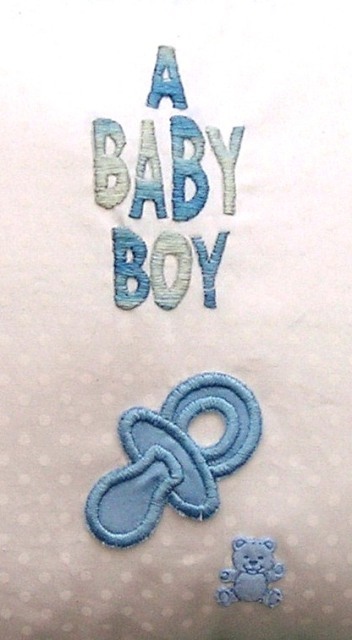 A lovely, hand made cushion, which would make a lovely gift for the new parents of a beautiful baby boy. It is for decoration purposes only and not for use in a cot. Made in a white cotton and edged in aqua lace. 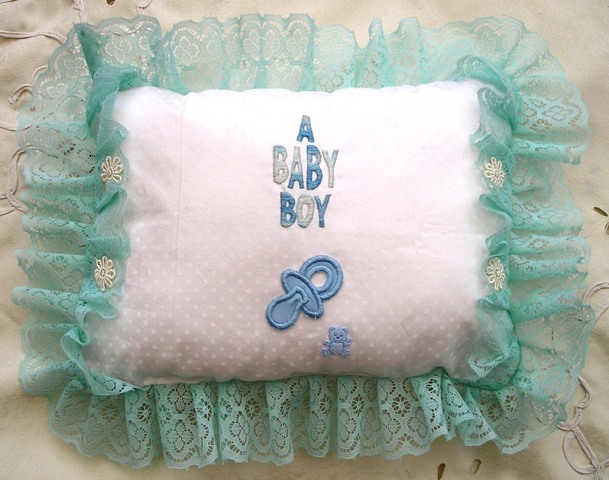 The cushion has been hand embroidered on the front with the wording a "new baby boy" and has floral detail added on the lace. It is filled with hollow fibre filling and can be used for an arm support when feeding or simply for decoration.